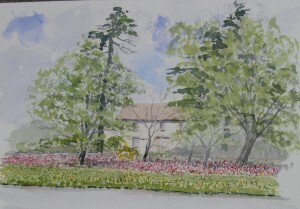 A lovely entrance to the village with the display of Red Campion, captured in this watercolour by local artist Tom Jacobs. Congratulations and thanks to the Wild Flower Project group who prepared and planted this wildflower meadow. Previous PostPLANT SALE……….Next PostFree to a good home……………plants.